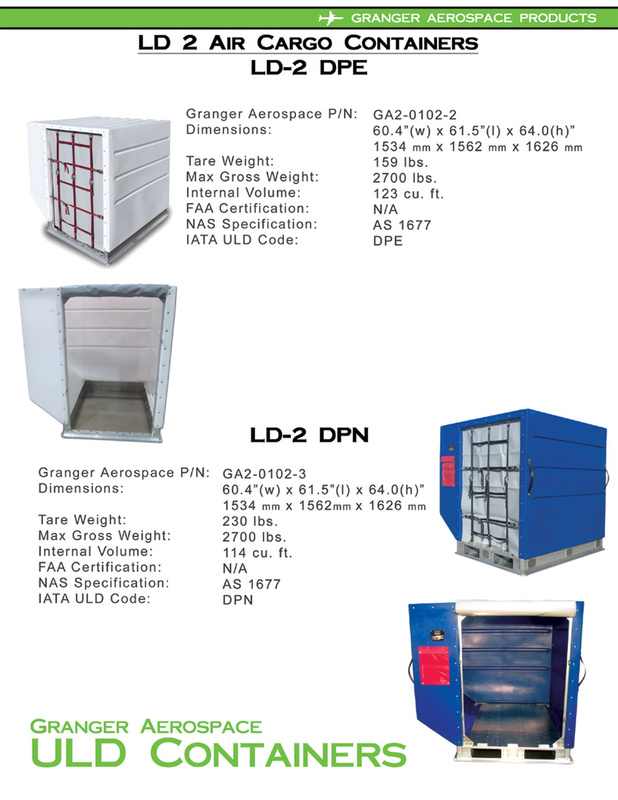 Click on any of the thumbnail images to the right to display the larger image in the LD 2 Air Cargo Container Image Gallery. 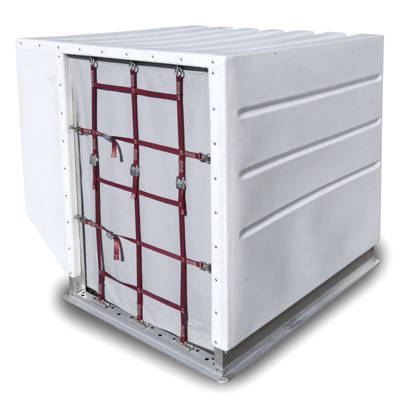 Granger Aerospace Products Air Cargo Containers are the only cargo container manufactured from a combination of aluminum and durable LLDPE. 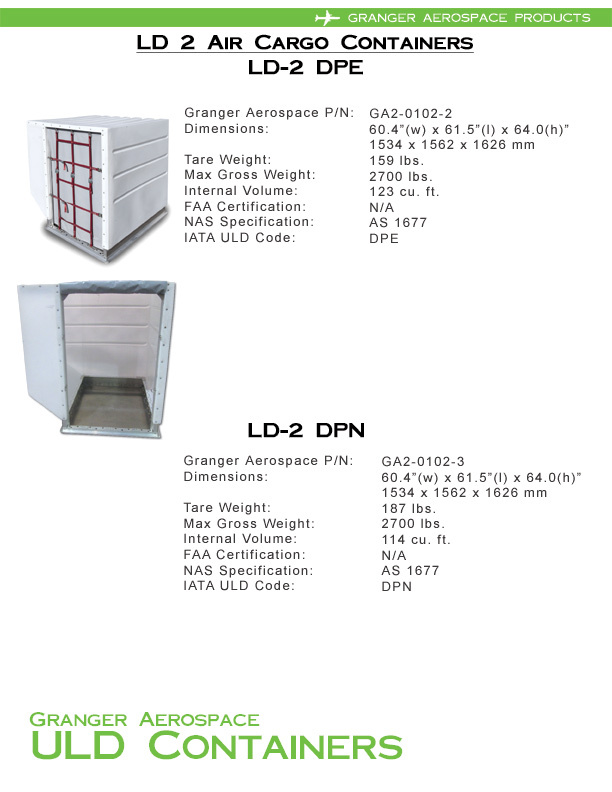 The Granger Aerospace Products Air Cargo Container is lighter than most standard containers. 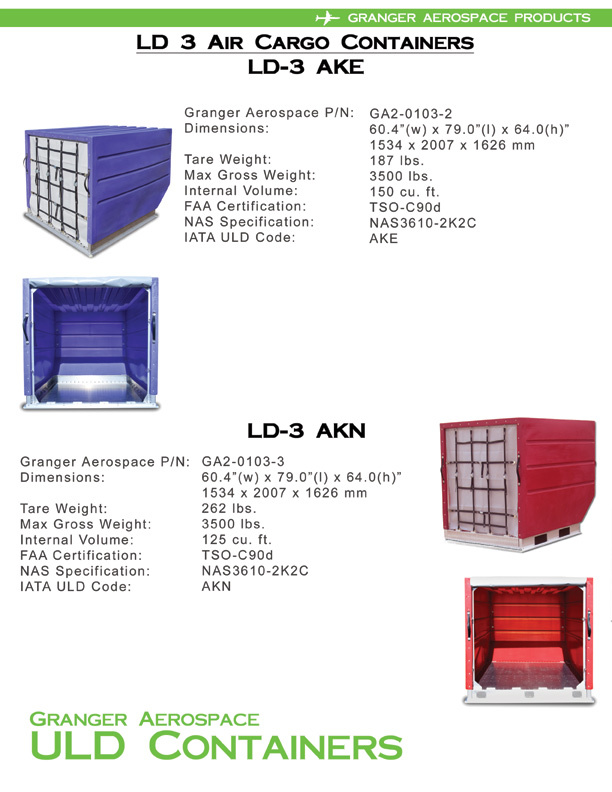 Granger Aerospace Products cargo containers are robust. No aluminum body panels to patch. 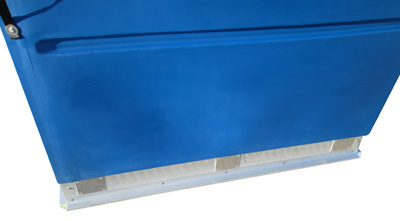 No aluminum body frames to replace. 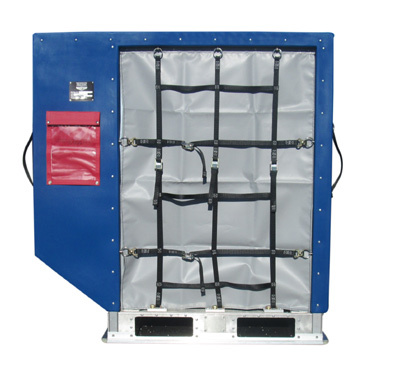 Lighter weight, less down time and lower repair costs equals lower cost of ownership. 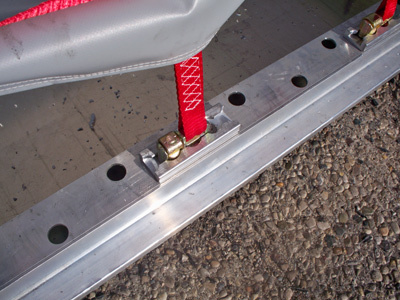 Unique design allows for faster repairs. Less spare parts to keep in stock. 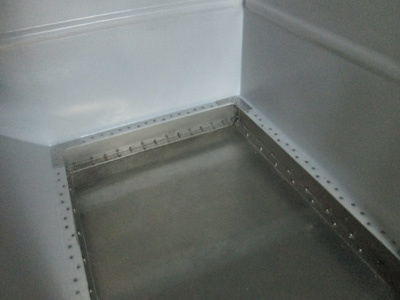 Granger Aerospace Products offers alternative solutions for your ULD needs. 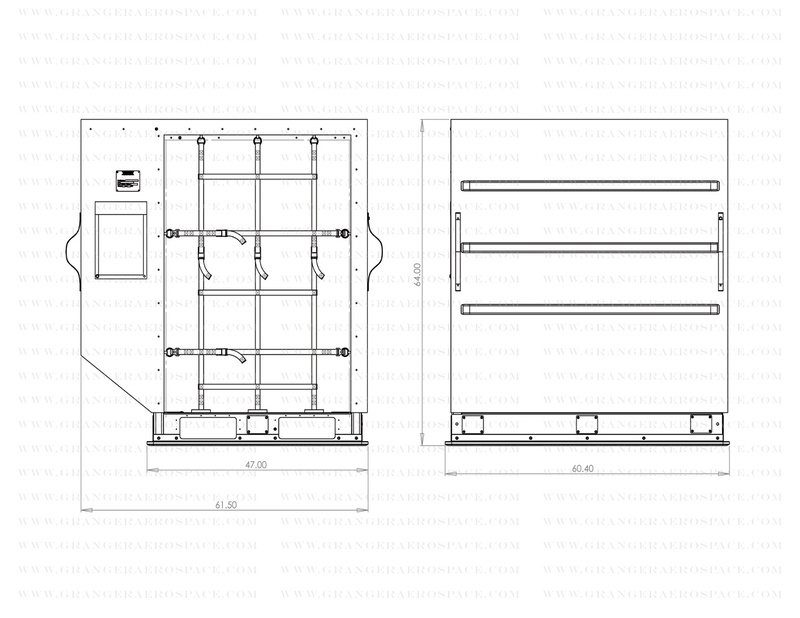 It is our goal to offer our customer not only lower cost container but a trusted partnership for your company. 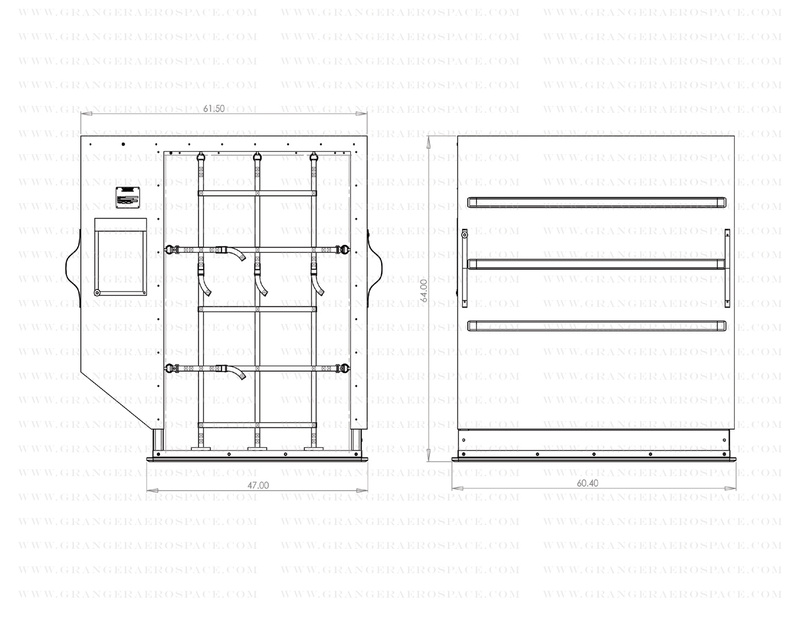 Through or focus on technology and research, we are continually making improvements to our design. 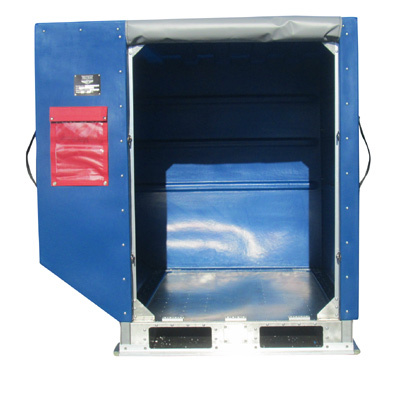 Our customers save fuel by using robust as well as cost-efficient lightweight containers. Tare weight from 118.8 kg 262 lbs. Retired UPS Exec Partners with Granger Aerospace. 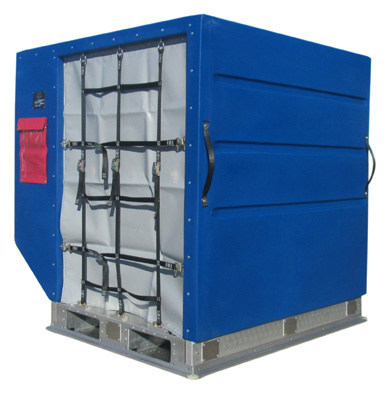 Rotomolding leader receives FAA certification for Air Cargo Containers. 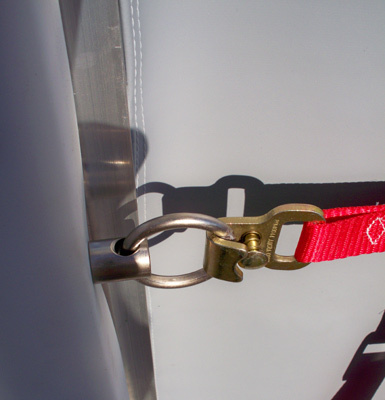 FAA issues TSO C90d for LD 3 Containers. 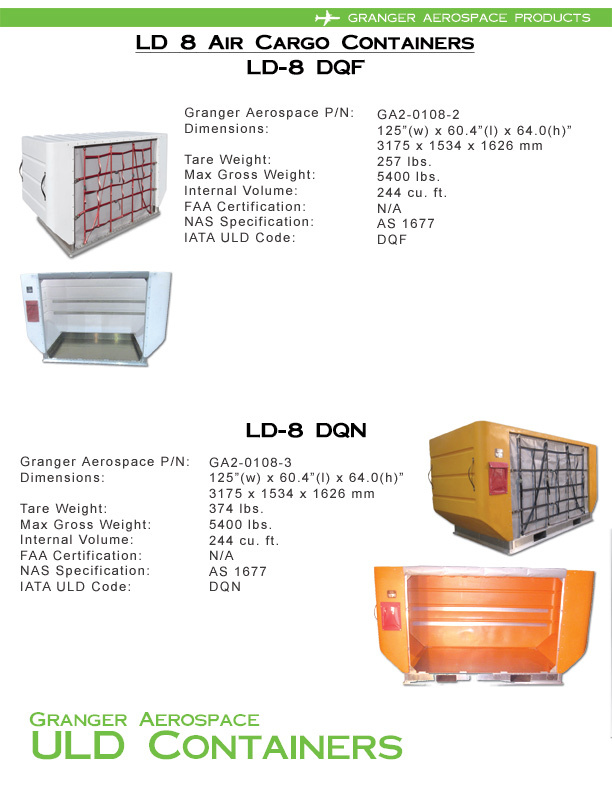 Granger Aerospace's ULD Containers or Air Cargo Containers offer a number of industry leading features such as lowest total cost of ownership, lighter tare weights, single piece polymer shells, less parts inventory to maintain, rugged durable rotational molding construction, high quality aluminum bases and more! 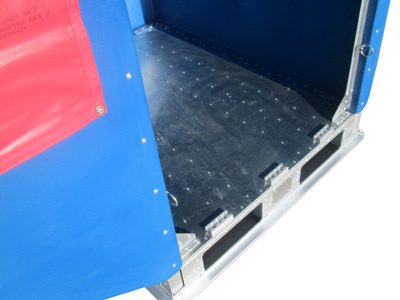 Granger Aerospace is a division of world class manufacturing leader, Granger Industries. 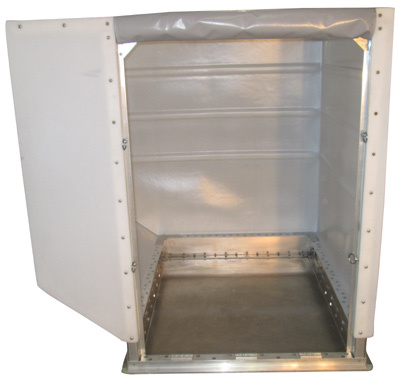 Granger Industries is the home of Internationally recognized Rotational Molding leader, Granger Plastics Company, ForeverSafe Products and the world renown designer and manufacturing entity of the Granger ISS Tornado Shelter. Copyright (c) 2014-2017 uldcontainers.net. All rights reserved. | Design by Granger Industries.